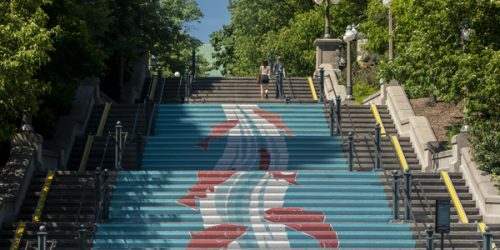 Burger chain A&W Canada celebrated its nationwide elimination of plastic straws via a public art installation outside Toronto’s Union Station. 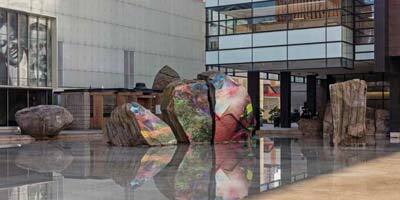 Each May, an increasingly wide variety of digitally printed wide-format graphics are installed in public spaces throughout Toronto to help expand the reach and visibility of the city’s annual Scotiabank Contact Photography Festival from indoor galleries to outdoor environments. 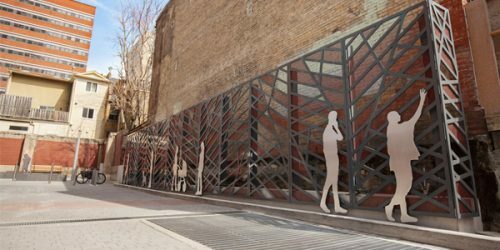 As part of the landscape design for a new residential building on Toronto’s Church Street, local firm Eventscape engineered, fabricated and installed an 18.3 x 3-m (60 x 10-ft) feature wall, which was designed to obscure an old brick wall. 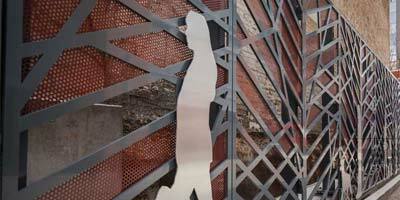 Eventscape recently engineered, fabricated and installed an 18.3 x 3-m (60 x 10-ft) public art feature wall as part of the landscape for a new condominium construction project on Toronto’s Church Street. 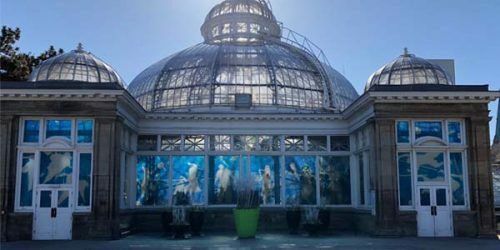 Toronto’s 22nd annual Contact Photography Festival is now on, with curated works by acclaimed and emerging artists featured across the city, including site-specific public art installations using digitally printed wide-format graphics. 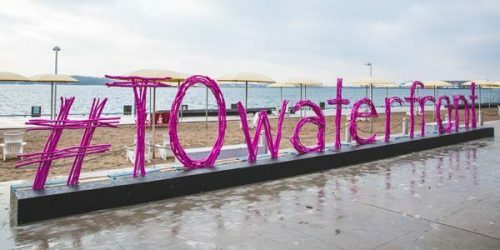 Shore Land Artists recently created an approximately 2.1 x 15.2-m (7 x 50-ft) bright pink Toronto sign from driftwood to launch the city’s Waterfront business improvement association’s (BIA’s) winter arts program. 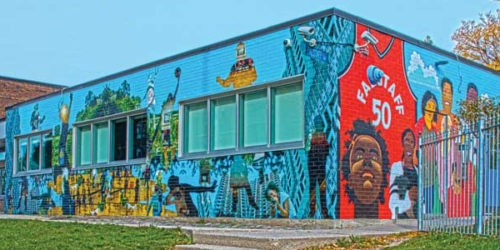 Toronto-based UrbanArts is a charitable organization that has worked with schools to get young people involved in, among other activities, creating murals as a way to contribute to community development. 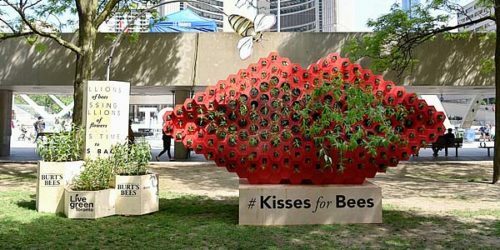 Burt’s Bees Canada has created two outdoor public art installations to help raise awareness of the need to support the nation’s bee population, using hundreds of native perennial wildflowers to serve as habitats and encourage pollination. 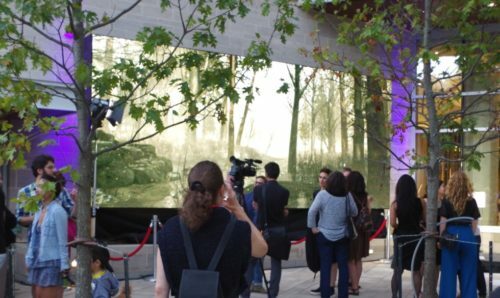 Real estate developer Daniels has invested in Watchfire Signs’ outdoor digital signage technology to create an evolving public-art piece for its new HighPark Condominiums project in Toronto.